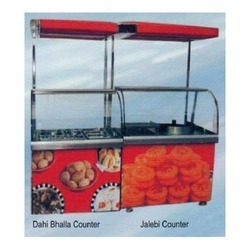 We are a leading Manufacturer of dahi bhalla and jalebi counter, pizza preparation counter, conveyer bread toaster, pani puri counter, burger counter and shawarma machine from New Delhi, India. 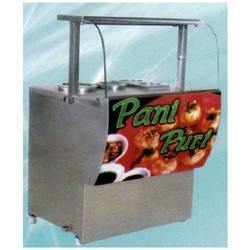 Backed by a team of experienced professionals, we are offering an excellent range of Dahi Bhalla & Jalebi Counter. The provided range of counter is developed with the usage of best material of market and newest technology along with the market norms. In addition to this, the given assortment is applauded for its performance and long operational life. Our customers can simply benefit this counter at industry leading rates. 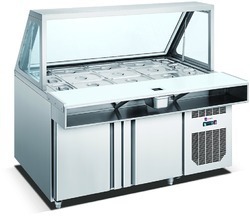 We are involved in offering Sandwich Refrigerator with Pizza Preparation Counter. 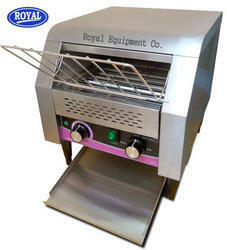 Leveraging upon our vast industry experience, we manufacture, trade, and supply a broad array of Mini Conveyer Toaster. This mini conveyer toaster is processed by utilizing best quality factor inputs and new technology. Our presented mini conveyer toaster is enormously commended and valued by our consumers. In addition, our quality experts examine the given mini conveyer toaster at different parameters to assure a default free range.